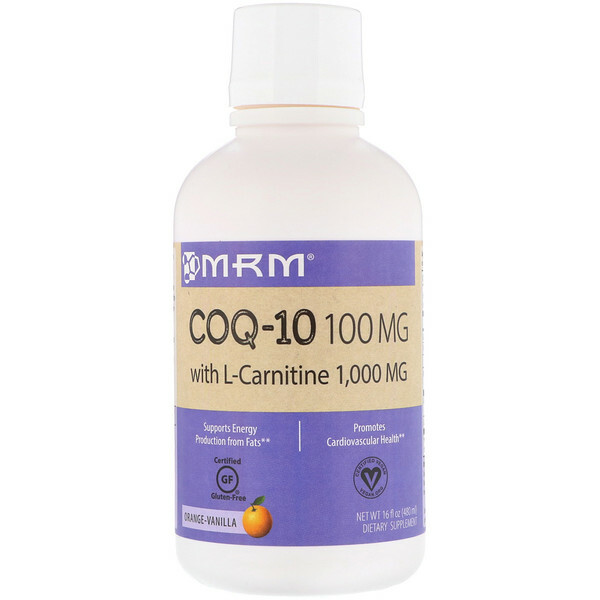 CoQ-10 is critical to the function of the heart, liver and kidneys where it supports cell membrane stabilization and acts as an antioxidant, in addition to energy production. L-Carnitine has been shown through clinical trials to support cardiovascular health beginning with its ability to assist in clearing fats from the blood and into the mitochondria, the energy powerhouse of the cells. 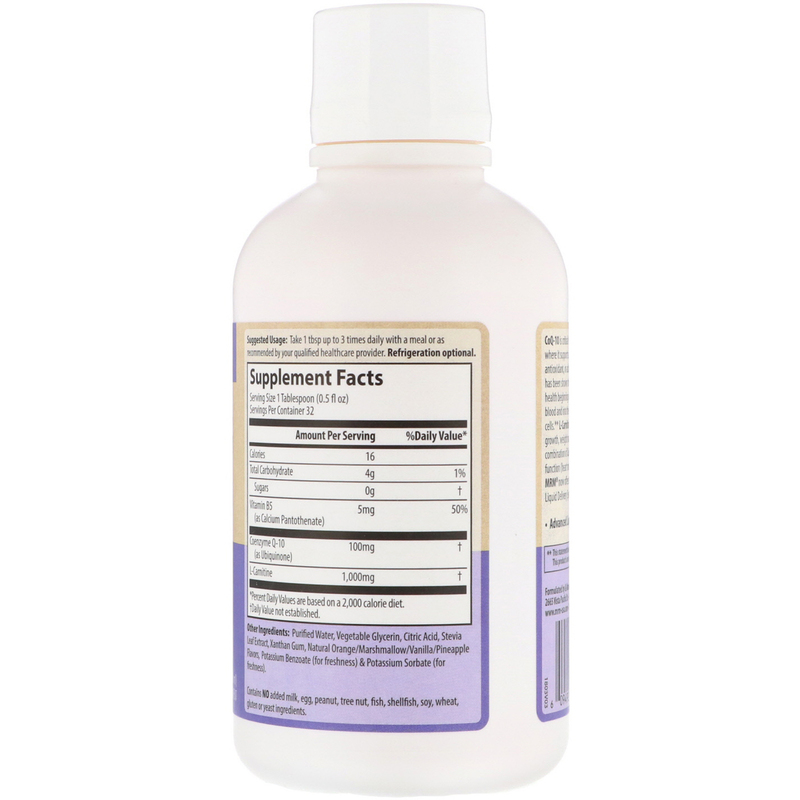 L-Carnitine has also been shown to support muscle growth, weight management and liver health. This combination of CoQ-10 and L-Carnitine is essential to cardiac function (heart muscle) and beneficial blood lipid profiles. MRM now offers this remarkable amino acid in an Advanced Liquid Delivery System for optimal absorption. Take 1 tbsp up to 3 times daily with a meal or as recommended by your qualified healthcare provider. Refrigeration optional. Purified water, vegetable glycerin, citric acid, stevia leaf extract, xanthan gum, natural orange/marshmallow/vanilla/pineapple flavors, potassium benzoate (for freshness) & potassium sorbate (for freshness).